I first got my start with blogging back in 2007. I loved the mom coupon blogs and was eager to start one of my own. While I enjoyed writing that blog the time it took to do it and not make any money wore on me. That blog lasted about five months before I stopped writing it. The next blog I created was more recent. I have worked in real estate my entire life. For the last nine years I have owned a company that has helped Realtors with their marketing. I have always had all these marketing ideas floating around so I decided to act on them. I started writing a blog simply titled Marketing Ideas for Agents. It felt so great to get these ideas out on my blog and share them with agents. I look at the two blogs I created and I won’t call them failures, but they weren’t crazy successes either. I enjoyed writing both of them and then one day I didn’t. In light of starting over with a new blog I thought I would write about lessons that I have learned from two dead blogs. When you start a business you must pick your passion– at least that’s what everyone says right? Looking back at both of my blogs I think this is more true now for me than ever before. The first blog I did was about simple ways to save money in everyday life. Sounds good right? It was but it wasn’t my passion. Do I like saving money? Sure but I am not passionate about it. Then I look at the real estate blog. I thought for sure this was my passion. I have been around real estate my entire life. I have had two jobs since I was ten years old that weren’t in the real estate industry. This had to be my passion right? Wrong. It wasn’t until midway through 2015 that it hit me. I picked real estate because I had always picked real estate. It was no different from picking out the same toothpaste. I picked it because I have worked in and around it since I was 10 years old. It is what I know but it isn’t what I love. I realized that if I was truly passionate about real estate I would be a real estate agent. While I respect the profession it is one that I definitely don’t want to do. Talk about an “aha” moment. All this made me realize why picking your passion when you start a blog is so important. You have to love your topic so much that you can talk about it without it feeling like work. You are jump out of bed excited to work on it every day. You can picture yourself writing about the same topic for the next 5, 10 or even 20 years. It is important to pick your passion because your blog will be your daily companion. If you look at what you are writing about and it feels like a hard slog you haven’t found your passion. I encourage you to write about something you really love. When you find that magic you will change peoples’ lives including your own. When I was writing my business blog I learned something interesting. The more I injected me into my posts the more popular my posts became. I think we worry about being ourselves and letting the real us shine through in our work. Yet the world needs you to be you! Yes there are thousands of blogs out there but there is only one you. Your unique voice is one the world needs to hear. You may have a coupon blog or a money blog and have thousands of competitors. But there is one thing each of your competitors doesn’t have and that’s you. You bring you unique voice and your unique story to your blog. It is your voice that can impact people and make a difference in their lives. Be you, be real and be unique and you will stand out from the competition. In any business you have to know your niche. Your niche is the main group you are targeting for your blog. For example in my first blog my niche was moms that wanted to save money. In my second blog my niche was Realtors that wanted to learn more about marketing. 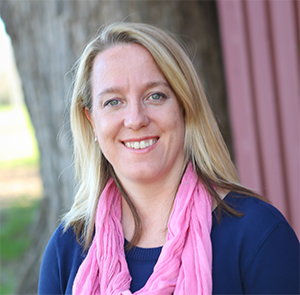 In this blog my niche is women and moms that want to find ways to enjoy life and live intentionally. It is also about helping women business owners and bloggers. Why is it important to know your niche? Because then you can find solutions that will help them solve their problems. You get to know who they are, the language they speak, their desires and their frustrations. This helps you craft a better message in your blog and in your business. It will allow you to help them. It will also help your blog succeed where others who aren’t as focused will fail. When you start a blog you have to decide if it is going to be a hobby or a business where you make a profit. Sure you can always start a blog as a hobby and turn it into a business later. But if you know from the start you want to earn a profit from your blog you will treat it more like a business than a hobby. When I started my first blog I wanted to earn money doing it. I felt excited at the possibilities and eager to start. Yet looking back I can see where I treated that blog as a hobby and not a business. When I didn’t earn any money I got frustrated and gave up. While quitting that blog had to do with a lack of passion it also had to do with a lack of income too. I realize now that I never treated that blog as a business. I didn’t have a business plan, ideas to grow it, ways to network with other bloggers or know how to make money. It wasn’t a business it was a hobby. I was just writing to write and hoping the money fell into my lap. You and I both know money doesn’t work that way! It is fine if your blog is your hobby but don’t get frustrated if you aren’t making money. If you want your blog to earn an income you have to create a plan to make that happen. Just like you would in any other business. This leads right into the money talk. First it is okay to earn money blogging! You are putting amazing content out into the world and helping people. It is okay to get paid to do that. Most people get satisfaction for getting paid for their hard work. Make no mistake about it– blogging is hard work and if you want to make money doing it that is a good thing! My answer: Hmmm…I’m not sure. Them: Well I want to figure out a way to pay you for services. How can you help me? Me: Yeah, still don’t know. Them: Okay I guess when you figure that out let me know. Can you feel the frustration there? The frustration from both sides? When I started blog number two I set out to write for three months to see if I liked blogging. If I did I would work on a way to monetize the blog because a girl’s gotta make an income right? Well month three came and I was in love with blogging but I felt stuck. Just how was I going to monetize this thing? If you are starting a blog that you want to monetize I advise you to go against the grain of all the blogging advice. I advise you to figure out how to monetize your blog from day one. Now I am not saying that you should only start a blog to make money. I am not saying that at all. Blogging is not a get rich quick scheme and if you try to make it one you will come off as a spammy scammer. No one wants that. But it is okay to decide in the beginning of your blogging plans how you are going to make money. Pick three easy ideas you can do right away to earn a small profit from your blog. Then make it a habit to learn how to build a better blog and how to monetize it. Blogging is a great way to connect with people all over the world while earning a living. But to build a community you have to be yourself and write about a topic you love. It is important to decide if you have a hobby or a business on your hands. Either option is fine but you will cut down on your frustration level when you make that decision. 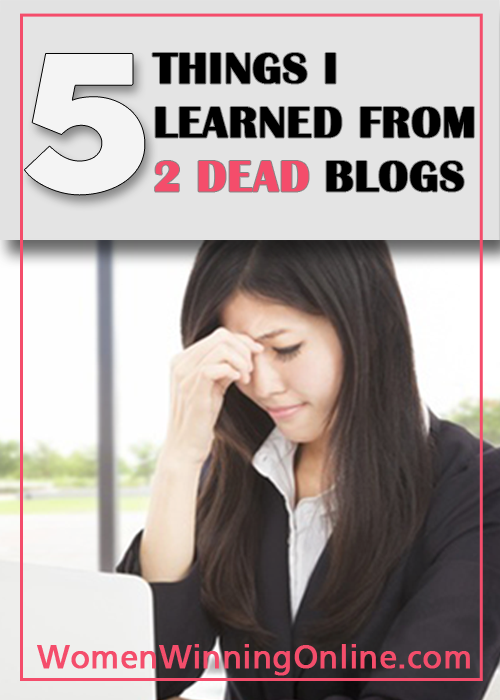 In my next post I will explore six more things I have learned after having two dead blogs. What has your experience been with blogging? Have you created more than one blog or was your first blog “the one” for you? What advice would you give to newbie bloggers? Please share your thoughts in the comments below! Great post! #4 resonated with me- I’m not sure if I want to make my blog a business yet especially since it’s more of a family/ lifestyle blog. So it’s more for a hobby right now. Maybe when I decide (and this blog is new) to make a business out of this, I will remember to build a plan for it when the time comes! I think that is awesome that you are doing it for pure hobby right now. 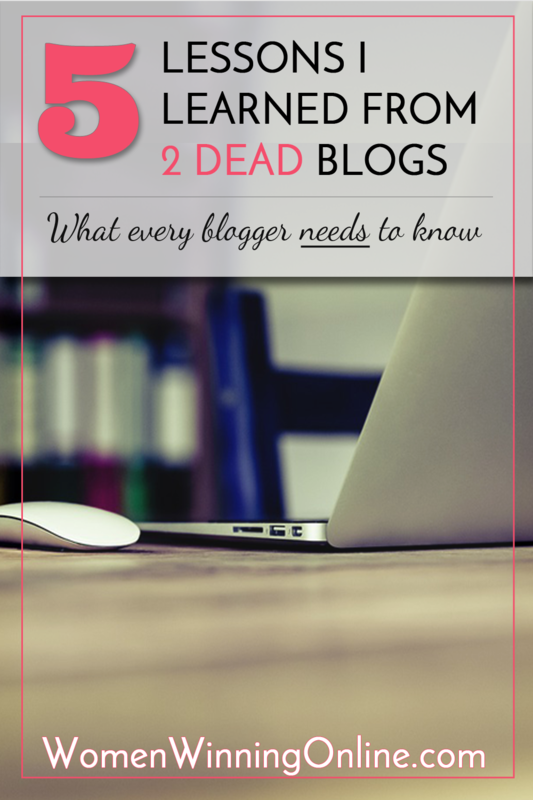 So many people look to blogging to make the quick buck which is virtually impossible. The beginning is always a good time to get a pulse on your readers to see what posts they’re the most interested in or questions they ask. Then if you do decide to monetize you will know your readers and what they would buy from you. Thanks so much for your comment and have a great weekend too! Hi Jen. I learned this past year that when I made the blog a business and tried to make money with it, the life left it. I became discouraged because it was not making money and I “tried harder” to do so, creating something that was no longer me. For me, I would suggest forgetting the niche and target market if you want a hobby blog that might make a little money. If you want to make it a business, then you need to decide what your business really is and treat it just like any online business – which is a lot more work – business and marketing plans, market and competition research and so much more. And to be blunt, it will take many hours of your time. Thank you so much for your comment April! It sounds like you have been on quite the journey this year. I really think it’s awesome that you took a step back and reevaluated where you are at with your blog. I agree with you, if it’s a hobby blog that you do just for fun, it is better not to stress yourself out with trying to make money. Especially if you already are in a busy season of life. I think a hobby blog can still have a focus on a niche area, like lifestyle/kids/God, without having a formal business plan. I think the cool thing about working online is that it doesn’t have to be as structured as typical brick and mortar business. Yes it is important to do research but there are a million blogs out there. What I love about blogging is that we each have our own voices which is in a strange way makes us competition proof. But yes you are right. A marketing plan and structure are a must with a business blog. Thank you again for your comment and I cannot wait to see what you do with your blog this year! I have been poking around on your site and you are a great writer!